Subliminal Pixels Lab is a Miami, Florida-based PPC (Pay per Click) Marketing company which focuses on professional level set up and management of PPC campaigns. We are PPC experts based in Miami, FL. Certified as Google Adwords Qualified Company, Yahoo Search Marketing Ambassadors and MSN AdCenter Excellence member. Our focus is on working with customers to leverage the power of Pay Per Click marketing. Our team of proven PPC specialists understand that its more than about clicks, its about revenue. Our PPC (Pay Per Click) Management Services help businesses tyrannize the competition, with well-researched keywords that drive relevant traffic to their websites and turn into qualified leads and sales. No matter the size of your company, we can develop, deploy and track a PPC (Pay Per Click) campaign to suit your specific business goals. (PPC) Pay Per Click Marketing is instant, dynamic and a completely scalable advertising model. Miami Based PPC Experts with Verifiable Results! Our Miami, FL based team of PPC professionals are proficient in all areas of Paid Search. And they love to share their success stories! Here is a Case Study where we improved one of our clients conversions by 1200% and their overall conversion by 99%. The Subliminal Pixels PPC team will methodically manage every aspect of your PPC campaign, from keyword and competitive research to campaign launch to user analytics and testing. We have you covered! Developing the right combination of keywords with extensive keyword research and competitive analysis. By Leveraging our deep understanding of buyer behavior to create the right ads matched with the right keywords to maximize on high click through rates to your site. By utilizing our proprietary testing methodologies we consistently achieve above average conversion rates. By providing Daily, Weekly and Monthly PPC Campaign Management Reports. Subliminal Pixels offers a ton of expertise on search. They know both paid search and SEO very, very well. It is great to work with them, they provide solid support, actionable recommendations and they know how to manage a winning campaign. I recommend them highly for your next PPC campaign. 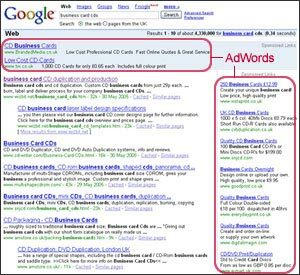 Pay per click (PPC) is advertising on the search engines. This allows businesses like yours, to have your listings show on the top of the search engines for your target keywords to your target customers. For example: for a Ford Auto Dealer based in the Doral section of Miami-Dade County, they would want to be seen on the search engines when users in Miami search for terms like “Miami Ford Dealer” or “Buy Ford Focus in Miami”, etc, etc. By showing up on the top of the search engines like Google, Google Local and Yahoo, you will generate targeted traffic to your website, but also foot traffic and phone calls depending on the type of business. How do our PPC Management Services produce success? • Developing the right combination of keywords with extensive keyword research and competitive analysis. • By Leveraging our deep understanding of buyer behavior to create the right ads matched with the right keywords to maximize on high click through rates to your site. • By utilizing our proprietary testing methodologies we consistently achieve above average conversion rates. • By providing Daily, Weekly and Monthly PPC Campaign Management Reports. The position of the ads for keywords are based on on auction bidding system which puts most emphasis on (CPC) Cost Per Click, Quality Score and Ad Rank. In essence, the market defines the price of the clicks. The more competition bidding on the keywords the more the cost per click. Check out the video below of Google CFO which goes into great detail on how the Google Adwords Ad auction works . Sounds great, how do we sign up? We have developed a complete selection of PPC packages which can be found on the PPC services page. Our PPC Development and Management services range from Pay Per Click campaign set up to on going PPC Campaign management, to advanced PPC analysis and PPC testing.